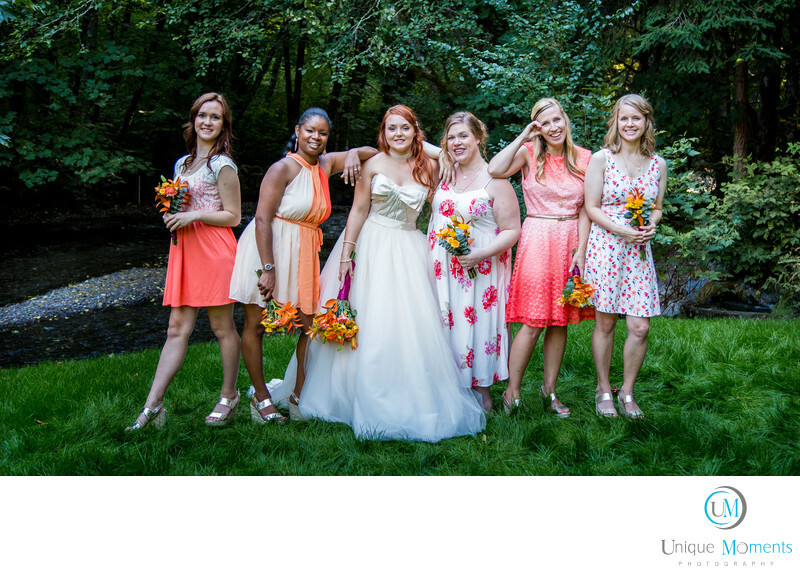 Tacoma Wedding Photographer Bridal Party Image. Unique Moments Photography of Gig harbor captured this image in Chambers Bay. Its the bridesmaid pose that everyone has seen from the movie. This is pretty much a standard image that we do with all the girls. Its fun and casual. But we take it to another level with our countdowns. Always a fun time with the ladies to get a little wild and crazy. When you hear our photographer start counting to three, be prepared. Images are always a kick and everyone has a fun fun time at the formals picture process.